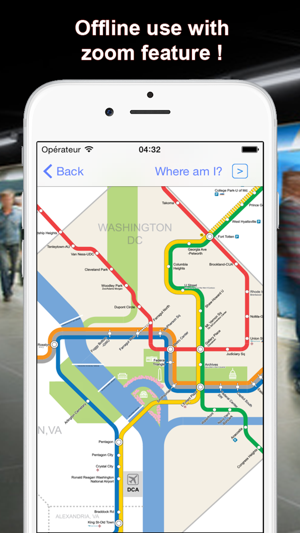 US metro maps, simple and offline use ! 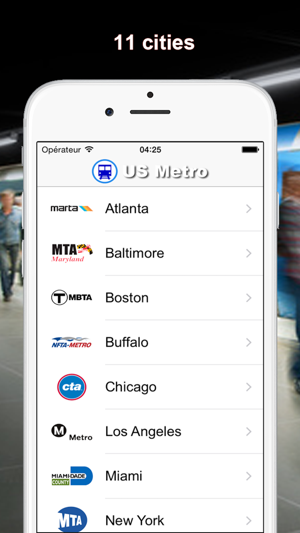 Display Atlanta, Baltimore, Boston, Buffalo, Chicago, Los Angeles, Miami, New York, Philadelphia, San Francisco & Washington subway maps in one click without internet access (Marta, MTA, MBTA, NFTA, CTA, Metro, Miami-DADE, MTA, SEPTA, SFMTA & WMATA). Like Miami and San Francisco. Believe the creator of this application was trying to show future routes trains may take? 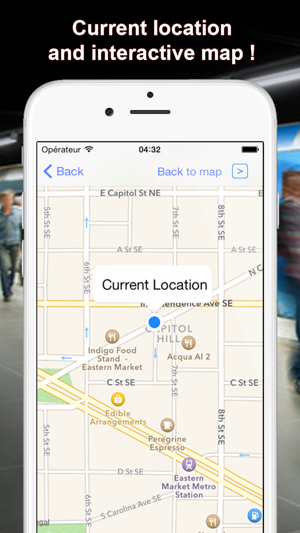 The other downside is the top of the maps are cut off; one has to squeeze the image down to see the top of the map. The idea of this application is nice tho.